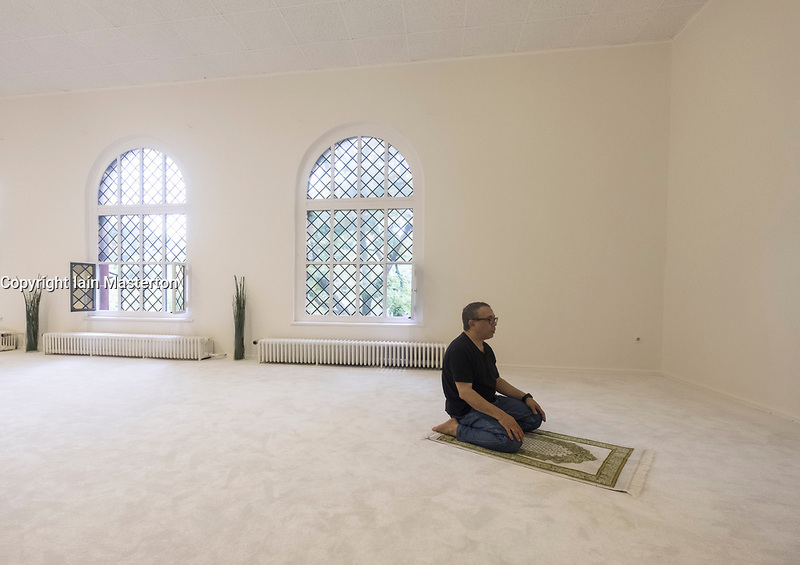 Man praying inside Ibn Rushd-Goethe mosque in St Johannis Church in Berlin. Opened by Seyran Ateş, it is a liberal mosque open to both men and women. Man praying inside Ibn Rushd-Goethe mosque in St Johannis Church in Berlin. Founded by Seyran Ateş, it is a liberal mosque open to both men and women.